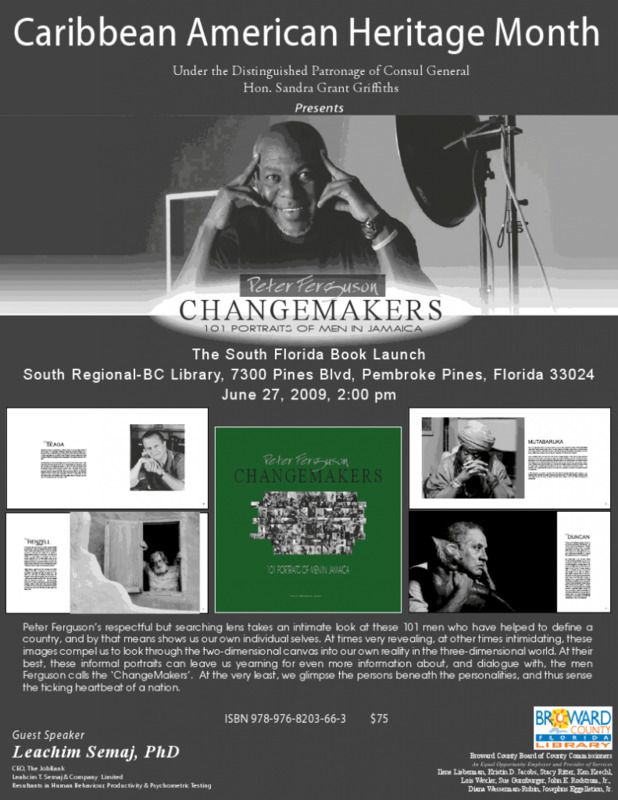 Peter Ferguson launched his book, ChangeMakers in Florida this past weekend. The launch featured an exhibition of photographs by Peter Ferguson, one of the best photographers in Jamaica at present, and unquestionably the best portraitist. The book features 101 portraits of prominent and not-so prominent, famous and perhaps infamous Jamaican men as you’ve never seen them before. These are not PR photos, they are art. Persons featured in the book include Rex Nettleford, Sir Howard Cooke, Kingsley Cooper, Ray Chen, and Cliff Hughes among many others. ChangeMakers is as much a book on Jamaican history as it is a book of photography.